Sexual harassment awareness is having something of a “moment” right now. 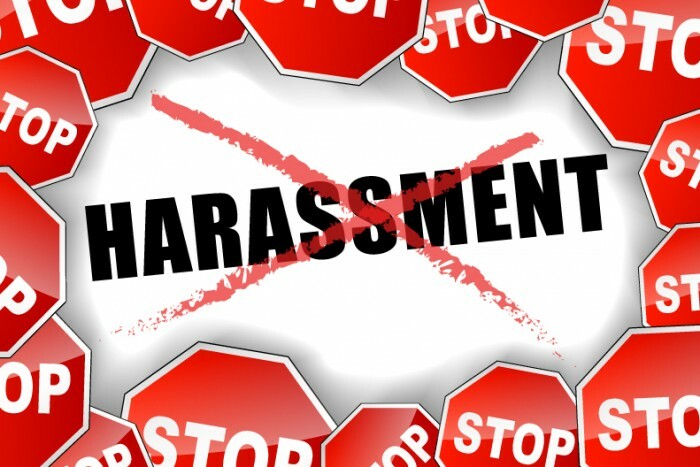 If you are not carefully analyzing your organization’s policies, protocols, and procedures regarding sexual harassment in the workplace, you may not be paying enough attention to this issue. Title VII of the Civil Rights Act, as well as other federal and state laws, impose an affirmative duty on employers to try to prevent sexual harassment. Every day we are seeing new allegations against such well known people as Harvey Weinstein, Kevin Spacey, former President George H.W. Bush, Senator Al Franken, Mark Halperin (an ABC news director), Michael Oreskes (an NPR news director), and Roy Price (head of Amazon Studios), just to name a few. The #MeToo movement has gone viral. And now Congress has approved mandatory sexual harassment training for lawmakers. Have no doubt that this issue goes beyond politicians, the entertainment industry and other high profile sectors to include organizations just like yours; and your employees are well aware of that. Many of us have some misconceptions about sexual harassment. We tend to think of sexual harassment occurring primarily in a supervisor-subordinate relationship, or only as men harassing women, or as more prevalent in male-dominated industries and workplaces. Invading someone’s personal space – Standing too close, faces too close together, especially, if it’s in a confined space or if only done to certain “targeted” people. This can also include blocking someone’s path physically with your body. Inappropriate use of social media — Posting or commenting on a coworker’s physical appearance, photos, or lifestyle on social media. The explosion of the use of social media has blurred the boundaries between work and personal life for many workers. Giving someone the visual “up and down” – The accused in this type of case can always claim the accuser was reading something into the situation that didn’t exist. But, if you were there you would know it was harassment. A lot will depend on the relationship of the parties, and whether there’s any past pattern of conduct. Displaying suggestive or offensive material – A coworker who has a swimsuit calendar in his cubicle, on his screen-saver, or other scantily-clad images. Unequal standards based upon gender – At your organization’s functions, maybe it’s only one gender (typically women) that exclusively (or primarily) does all of the set-up and clean-up of in-house events and parties, regardless of job title and status? While the national conversation on this topic is not solely limited to workplace harassment, that is our main focus as HR professionals. Nevertheless, we must be aware that the profile of the issue has been raised in all aspects of our culture. Organizations and HR professionals should be working proactively right now to ensure best practices are being adhered to. This is vitally important not only for limiting the organization’s legal liability, but also for protecting the most valuable assets of the company, the employees. Review your policy – Make sure you have a comprehensive and robust anti-harassment policy. Have it thoroughly reviewed by experienced employment law counsel. Reporting and investigation – The policy must encourage reporting and take a hard line against any forms of retaliation. Investigate all allegations promptly and thoroughly. Depending on the facts, you may want to use an outside investigator. Appropriate discipline for violations – Discipline must be proportional and consistent. Written acknowledgment – Every employee should acknowledge in writing that they have reviewed and understood the policy against harassment. Every employee should sign another acknowledgement whenever the policy is amended. Further, don’t rely on acknowledgments signed many years ago. Instead, have every employee sign the acknowledgment each year. For the sake of convenience, you can arrange for electronic acknowledgment. Training – Conduct regular training for all employees on your specific policy. Training for supervisors should be held separately. There are sound legal reasons for separate training. Whether you bring in outside trainers or handle things in-house will depend upon costs and other factors, but don’t let that keep you from training altogether. Finally, this is not all about legal liability. Your company’s reputation matters. A workplace safe from sexual harassment will help attract and retain talented employees. Employees who get a clear message that harassment will not be tolerated will be more productive and creative employees. These employees will also feel a much greater sense of loyalty to the company. Isn’t that what we want for each and every employee?